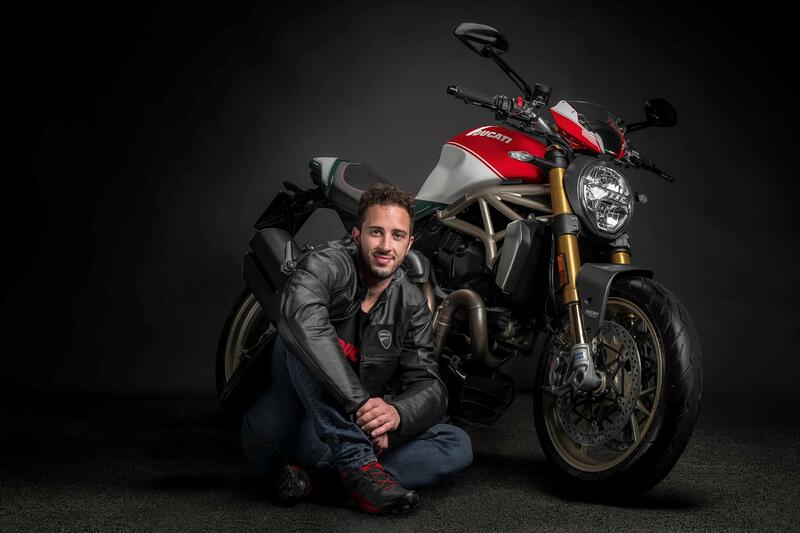 To celebrate 25 years of the Monster, Ducati have announced a special Ducati Monster 1200 which was unveiled by Factory MotoGP rider Andrea Dovizioso. The bike will feature an Italian flag paintjob inspired by the 2008 Monster S4RS Testastretta Tricolore, an embroidered prestige seat and numerous other customised details. The iconic trellis frame receives a lick of gold paint, as do the forged Marchesini wheels. Other machined aluminium details include the mirrors, frame plugs, handlebar end weights and the petrol cap, while the front and rear mudguards, the keyhole cover and the exhaust heat guard are in carbon fibre. The bike also comes with a cover, decorated with the 25th Anniversario logo. Ducati has used its excellent 147hp V twin, which is managed by traction control and three rider modes. It also has lean angle dependent ABS, wheelie control and a quickshifter. The tubular steel trellis frame and single-sided, aluminium swingarm are paired with Öhlins suspension, fully adjustable front and rear, as well as a steering damper also supplied by the Swedish firm. Stopping power comes courtesy of two 330mm brake discs paired with Brembo M50 monobloc calipers at the front, and a 245mm disc with Brembo caliper at the rear. The Monster is one of Ducati’s great success stories, the Italian firm has sold 325,000 of them around the world since 1993. 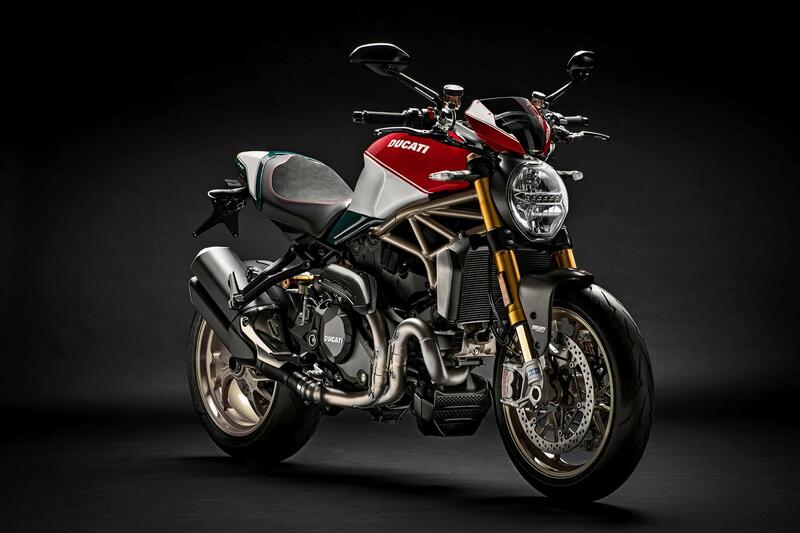 This latest version will be made in a limited run of 500, and is available to pre-order from Ducati now. If the Ducati isn't your cup of tea, maybe the limited edition MV Agusta Brutale 800RR LH44 is. 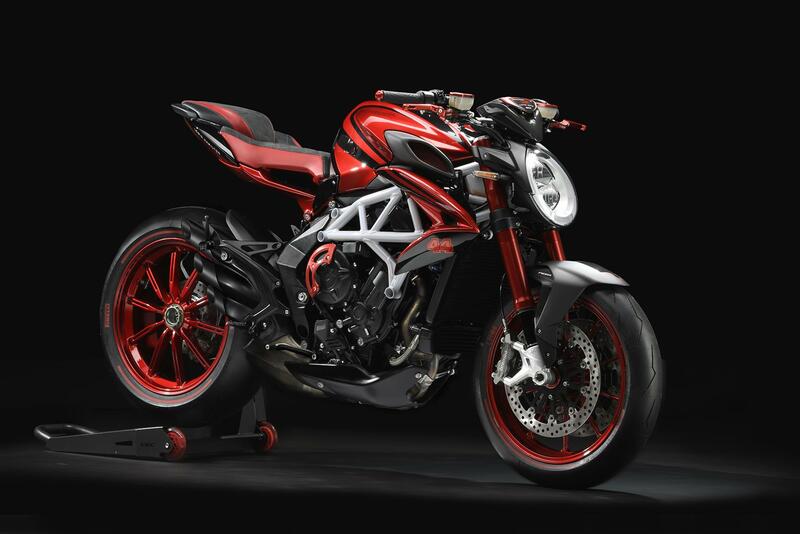 MV are making just 144 of the bike in honour of British Formula 1 racing driver Lewis Hamilton. This followed the success of a previous collaboration between MV and Hamilton, the MV Agusta F4 LH44. If these are a little exotic for you, there's plenty of options available at MCN Bikes for Sale.